1) Design a pattern using the AutoPaint program, or scan a picture or pattern sample then load it into AutoPaint. 2) Use AutoPaint to design or modify the pattern as you desire. 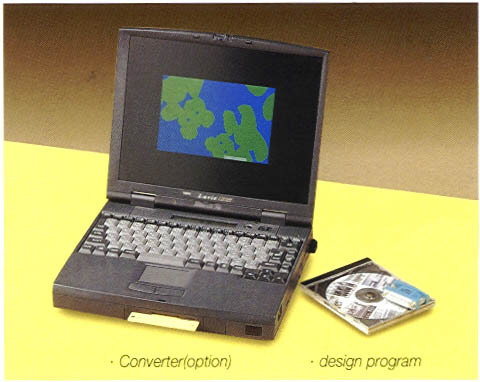 3) When you are finished designing a pattern, copy it to a micro floppy diskette. used by our Circular Knitting Machine. with the pattern you just designed. * Please refer to the command book for AutoPaint Program.